I often talk to women and men in leadership positions in the Church concerned for a third way of talking about gender. The public microphones seem to be held by Rachel Held Evans on one side and Mark Driscoll on the other. * The issue is that each side seems to co-opt half the verses on gender for themselves, using the ones they consider theirs to write off the ones they don’t. The liberal microphone gets “submit to one another.” The conservative one gets “wives submit.” The liberal one gets Euodia and Syntyche who labored beside Paul in gospel ministry. The conservative one gets Paul’s instructions for women keeping silent in the church. The liberal mike likes Phoebe and Junia. The conservative one I Peter 3 and I Timothy 2. Liberals get the women prophesying in I Corinthians 11. Conservatives get the instructions for women to learn in silence in I Corinthians 14. Deborah judged in the Old Testament. Junia was well known among the apostles. Priscilla discipled church leaders. Phoebe was a deacon who likely carried the book of Romans to the Roman church. Euodia and Syntyche labored beside Paul in gospel ministry. Which side of the microphone do these women fall? The liberal microphone wants these women. The conservative microphone seems to ignore them altogether. But what if all the verses on women actually work together in conjunction? And what if they work in conjunction with everything else in Scripture as well? There is a third way on gender, and I’d argue it’s actually the Biblical way – the way that keeps all the verses, reading them all in light of the redemption story. It starts with creation, men and women as image bearers of God. It understands the fall and the impact of sin on both genders. And it capitalizes on redemption, Jesus’ atonement for our sin that equips us to once again be image bearers of God. I envision a third way that centers around redemptive image bearing. As a woman, I’ve thought long and hard about what God created me to be, and what particular giftings I have as a woman that reflect His character. Before the fall, God called the first woman an ezer, which is a word with deep meaning. We should all understand the meaning of this word and value it as we should the first mention of anything in Scripture. My heart swells to think of what it would do for women’s discipleship and general gospel ministry in the church if pastors and lay leaders grasped the beauty of what God puts forward when He calls the first woman ezer. The Hebrew word ezer means to help, nourish, sustain, or strengthen. Ezer is used twenty-one times in the Old Testament, sixteen of which are descriptions of God himself, reflecting the fact that the woman was created to bear the image of God. Consider the use of ezer in Deuteronomy 33: 29. God himself is called our helper, our ezer, the same word used of the first woman in Genesis 2: 18. In the New Testament, the Holy Spirit is also called our Helper, Counselor, and Comforter (depending on which translation of the Bible you use. These are all translations of the Holy Spirit’s role of paraklete, or one who comes alongside in aid). God is our Help. The Holy Spirit is our Helper. When we understand God’s role as ezer, it gives us needed perspective. God, Sovereign Lord of the Universe, is our helper, and we, as women, are created in His image. Consider God’s example on this issue of help. In Exodus 18: 4, God our help “delivered … from the sword,” defending His own in contrast to attacking or ignoring the fight altogether. In Psalm 10: 14, God our help sees and cares for the oppressed. Rather than being indifferent or unconcerned, He is the “helper of the fatherless.” In Psalm 20: 2 and 33: 20, God our help supports, shields and protects. In Psalm 70: 5, God our help delivers from distress. In Psalm 72: 12-14, God our help rescues the poor, weak, and needy. All of these verses use the same word God used of the first woman! God Himself is our example on what it means for a woman to be a helper suitable to the needs of her male counterpart. God designed us to reflect His compassion, support, protection, comfort, and deliverance of those in His care from distress. We are called to be conduits of God’s grace in our homes, churches, and communities. We are called to be like Christ. Now think of the names I listed earlier – Phoebe, Priscilla, Eudodia, Syntyche …. In light of this exposition of ezer, their work in the early church makes sense to me. Each gives a brief glimpse of early church ezers, redeemed to be image bearers of God once more. Helping Paul, discipling Apollos, serving the Roman church. 1. Avoid referring negatively to discussion on how we involve women in gospel ministry as a slippery slope. Even if there is a slope, not all slippery slopes land in liberalism. Perhaps this one slides down into Biblical obedience! 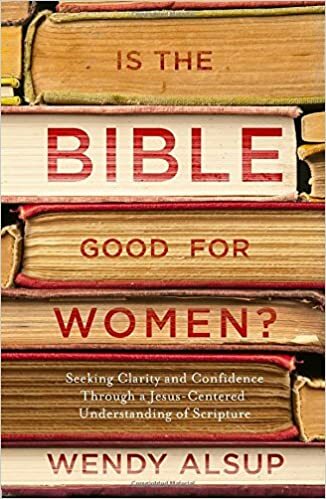 Until we can point to the Phoebes, Euodias, Syntyches, and Priscillas that we have discipled into gospel ministry in our own congregations, we are likely not reflecting a New Testament model of women in our churches, in which case, there is something worth slipping toward. 2. Support women deacons. If you have a Biblical model of plurality of elders (see Alexander Strauch’s Biblical Eldership), there should be no problem putting women in official roles as deacons in the church. In fact, it should deeply grieve you anytime you see women denied this role that was available to them in the New Testament and throughout the history of the Church. See this post for a more thorough treatment of the subject. 3. Value women as helpers, and not just in the “running the nursery” sense of the word. Put away suspicion of women leaders in the church and cultivate their voices. Invite them to offer their opinion and value their feedback. My church is building a women’s advisory session to come alongside the elder session to give important feedback from a woman’s perspective. Why? Because they VALUE women’s voices rather than being suspicious of them. 4. Disciple women to come alongside leaders in gospel ministry. What does this look like? Well, I can’t tell you exactly, but it’s worth trying to figure out! Read through the account of Priscilla. Think about Junia and Phoebe. Consider Paul’s brief description of Euodia and Syntyche. Then prayerfully consider how we can cultivate female co-laborors with us in gospel ministry as Paul did. Here’s the key to all of this – putting away knee jerk suspicions of women that have often characterized our tribe. Are some women gossips? Yes. But redemption gives us hope for discipling women to confess and forsake gossip and instead use their voices to speak truth in helpful ways for flourishing gospel ministry in our churches. I hope pastors and lay leaders will look at the women in their churches and ask, “Do I actually value their help? Do I respect what God created them to be in my life, strong ezers reflecting God’s own help of His children?” Leaders, are you perplexed by gossips in your church? Have you considered discipling them to use their voice in better ways and then given them a way to do it? I hope these questions are helpful points of reflections as we think of how redemption equips us to reclaim the power of ezers in gospel ministry and the life of the Church. * That’s a caricature of the two ends of the spectrum, and yet those two have gone head to head enough times on the issue of gender to warrant their names to be used. For what it's worth, this is the model of women's ministry that the PCA has tried to practice and promote. Some of the southern churches focus more on the practical out-workings of being distinctively female “ezers”, but historically, the PCA has a pretty rich track record of nurturing and growing solid female teachers and ministry leaders (Paige Benton, Kathy Keller, Nancy Guthrie, Kathleen Neilson, just to name a few). One of the key ways that this has been possible is that the male leaders/elders in the local churches and in the general assemblies promote this Biblical approach from the start. The top male voices have written and supported Biblical roles for Women's Ministry for decades. Thanx. Thanks, Deb. I am PCA myself and have appreciated this in the denomination, though the denominational prohibition of women deacons grieves me still. I love this more than I can say! Thank you for your gracious voice, which always leads us back to scripture. we must learn right judging of the servant of another for to his own master he stands or falls; and he will stand for the Lord is able to make him stand; we must learn not to regard brothers with contempt nor wrongly pass judgment for we will all stand before the judgment seat of God and each one of us will give an account of himself to God; each one with a faith as his own conviction before God; God will render to each person according to his deeds. There is no partiality with God. This is very helpful! Thank you. I asked some of my liberal Christian women friends on twitter what they thought and they love your reasonableness and value of women. One question was about specific submission to a man pre-fall. Is there anything in the creation account or referring back to prefall relationships that explicitly calls for women to submit to their husbands? I know Paul and Peter say it explicitly but I'm guessing the liberals, if it's not based on prefall relationships, would argue that it was a historical/cultural command. Thoughts? I understand that argument in one sense, yet Jesus (perfect son) submitted to His parents as a child. Luke 2:51 uses the same word, hupotasso, that Paul uses of wives submitting to husbands. This tells me that ordered submission is more than a capitulation to fallen mankind and cultures. I witnessed first hand the folly of ignoring women’s roles in a church, particularly that of Deacon, and I say this as a firmly convicted complementarian. A church that we eventually left had a history of things left undone in the area of caring for the congregation. When I suggested to the pastor that appointing some women to the role of Deacon/Deaconess might fill this gap, he responded “well—-we can’t call them Deacons”, and nothing was ever done about it. I believe in his mind, Deacon = Elder. Mind you, this was a pastor who loves the Lord deeply and preaches His word faithfully but was blind when it came to gender issues. When we eventually left the church for other reasons, my husband was told that if he would only be in church every time the doors opened and get all the teaching possible, he would better know how to “handle” me and the issues that troubled us about the church would not exist. You are so right when you point out that there needs to be a striving towards middle, biblical, ground. As I mentioned before, I'm don't idenfiy myself as neither a complemtarian or egalitarian or I'm not completely in their camp. Instead I'm more invested in learning the true biblical doctrines that go beyond just labeling myself in either of these two groups. I agree with you about women leaders or disciples who played an important role in the gospel that often get ignored. Great post. Thank you so much for offering a middle ground on the role of women in the church. This is an issue I continue to wrestle with and have struggled to fit into either side of the argument. I hope this middle position gains a larger foothold in the church. Thank you. Good stuff Wendy. I love the constructive tone of this – not defensive against other camps, but asking, how might we in our camp build women up? Full disclosure: I come from a more-or-less egalitarian perspective. I'm not sure exactly how to quantify that. Suffice it to say I find Driscoll's views repugnant but I'm not really comfortable with Rachel Held Evans either. In my own marriage my wife and I largely occupy traditional roles, despite both of us coming from an egalitarian perspective. That said, let me say that you, Wendy, are probably the most winsome, thoughtful voice writing from the complementarian perspective that I've come across. Like, ever. So give all that, I'd really love to see you devote a blog post (or two, or three) to unpacking the phrase: “wives are to submit to their husbands”. Not surprisingly, this is a phrase I often hear from those who hold to a complementarian view of marriage. But, just as often, in practice it doesn't seem to mean much. What I'd like to hear about is how this principle actually makes a difference in your marriage, or marriages of other complementarian couples you know and respect. I would enjoy hearing any thoughtful complementarian talk about how submission plays out in practice, but I'd especially enjoy hearing your perspective. You tempt me, Buddy. But I'm stirring around thoughts on another article on submission which doesn't have to do with wives. I'll think on your suggested topic, though. And thanks for the encouraging words. Thanks for considering it. I ask mainly because when I interact with complementarians (outside of the exaggerated fringe) the way they describe their marriages working sounds about like how my own marriage works. I'm interested to know how their complementarianism actually makes a difference at a practical level when compared to the baseline of an egalitarian couple who are “submitting one to another”, elevating each others' well-being over their own and practicing self-sacrificial love. I suspect my marriage may look much like Buddy's, yet, I would have said for the past many years that, if pushed to “identify” with a label, I consider myself complementarian. Unfortunately, much of what I have heard taught as the “Biblical role” of the wife in a complementarian marriage seems to overreach, heading off into extra-Biblical territory by prescribing do's and don'ts on which scripture is silent. There is a big difference between what MAY be an application, and what MUST be THE application of scripture. Thank you for considering writing more on this, Wendy. By the way – my husband is a wonderful man with whom I enjoy a great marriage. There's no tension in our marriage on this topic, though we (together) sometimes cringe at the less-than-beautiful teaching and commentary we hear on it. The only one of his “ways in which to lead your wife” that doesn't also apply to a self-sacrificial, mutually submitted egalitarian marriage is the one titled “Lead by Deciding”. Maybe also the one titled “Lead as a Head”, but then he doesn't go into a lot of detail about what that actually means in terms of day-to-day behavior so it's hard to say. I don't think egalitarians write off verses that don't fit in with their beliefs. I think it's more of a context verses proof text issue. I know complementarians like to say “women submit” or ” I don't permit a woman to teach,” but I've noticed that egalitarians go into the context of those verses, for example, the issues of the day Paul was addressing when he said that women couldn't teach but must learn instead. That's how egalitarians get that he wasn't prohibiting all women for all time (did he even have the power to do that? Now that would be an interesting blog article topic.). That plus Paul's mentioning the women who served with him. Oh, personally, I don't think the Ephesian verses are about leadership and who's the boss. Instead, I think they're about love and doing for one another. Paul was taking Christ's command to love one another and applying it to marriage. So, that's my two cents.